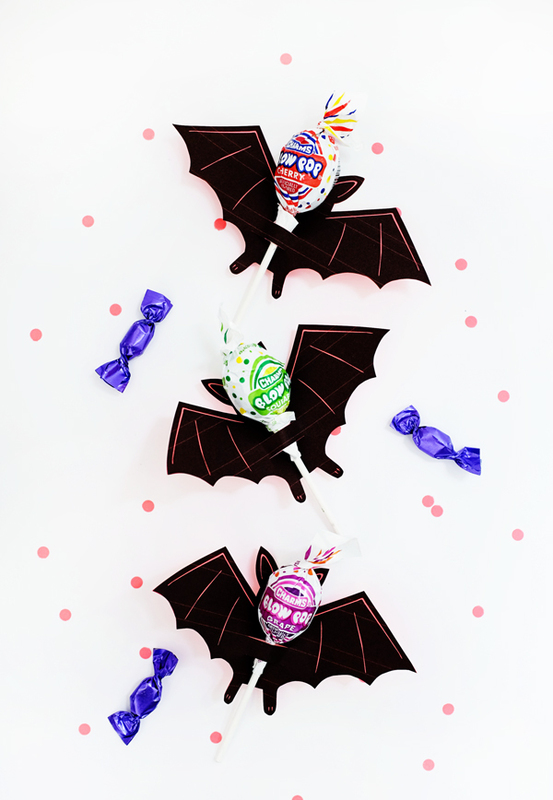 Halloween is on my mind and it’s never too soon to start thinking of fun ways to dress up your candy. 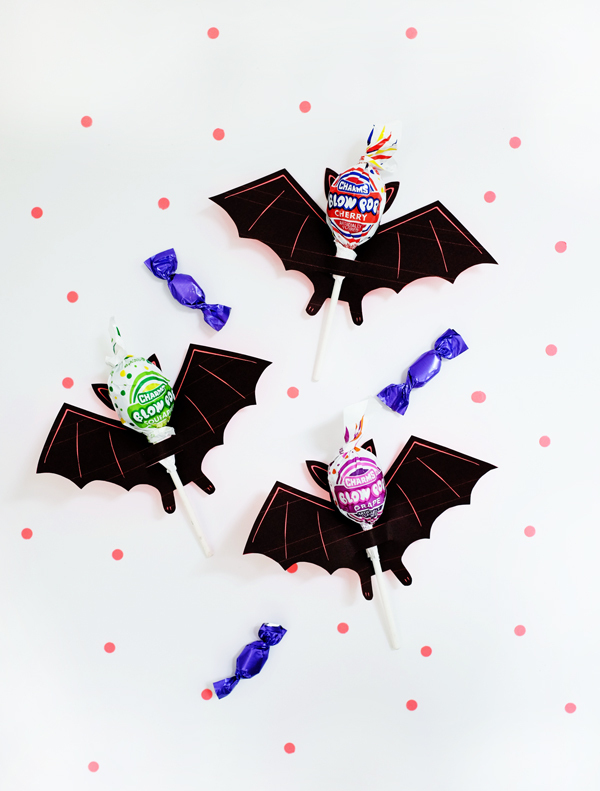 These bat lollipop holders are simple to make and make any lollipop look spooky. Anyone who you give these pops to will surely want to sink their teeth in! 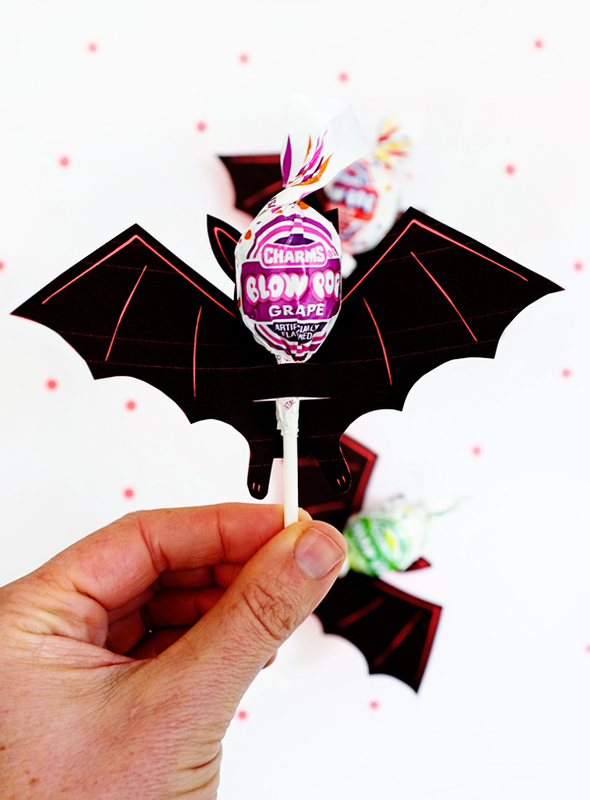 Materials: Printable Bat Lollipop Template, 8.5 x 11 Colored Text Weight Paper, Scissors, Kraft Knife. 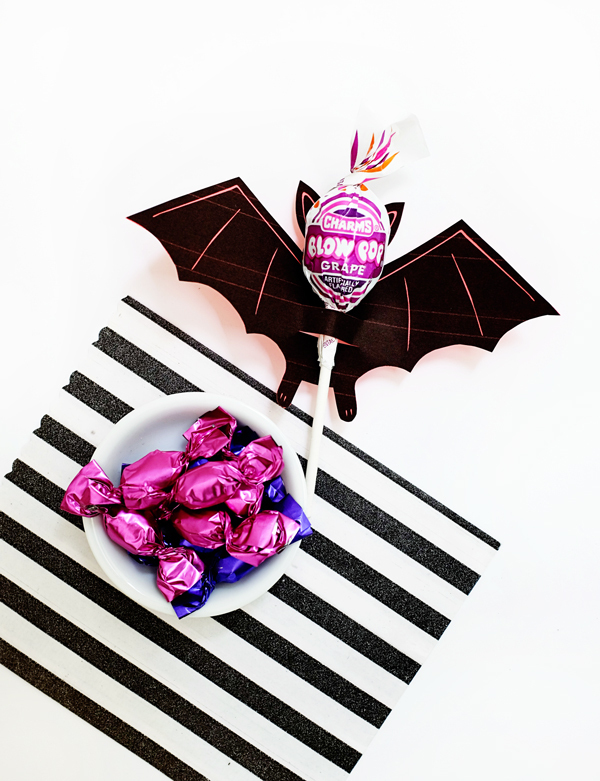 Step 1: Print out Printable Bat Lollipop Template on a 8.5 x 11 colored paper. Step 2: Cut out the bats with scissors. 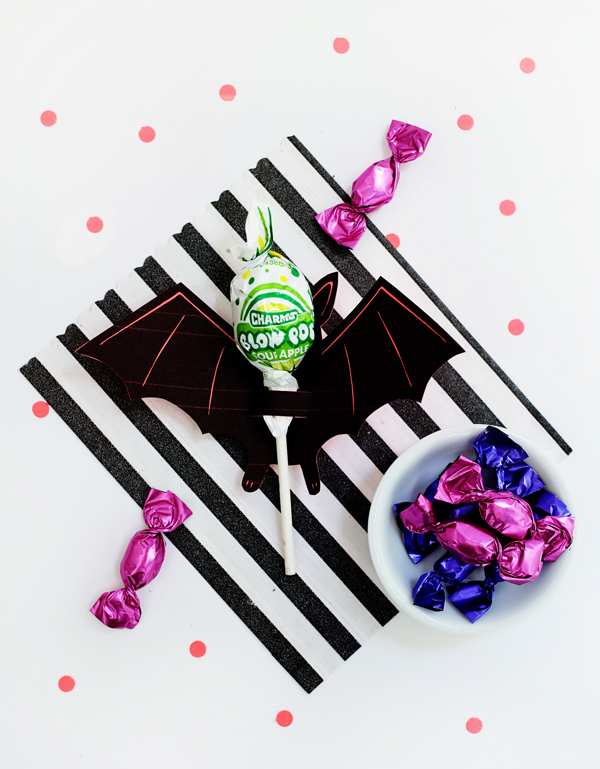 Step 3: Align a lollipop to the bat to determine where to cut the correct placement. Step 4: Cut 2 parallel incisions on the bat using the craft knife. Insert the lollipop.